Location: Long Beach, CA Size: Over 1 million sq. ft.
Over 1 million sq. ft. roof receives Western Colloid’s “Cool Roof” system. 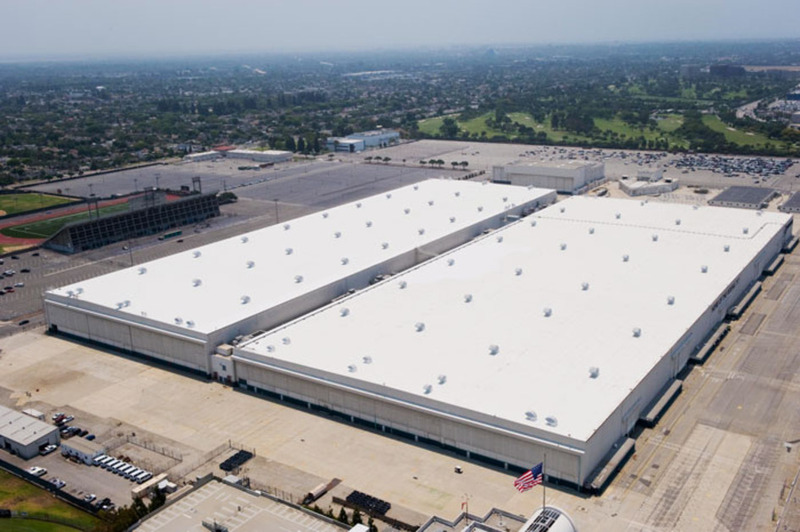 The unique bulk delivery service and the systems application efficiency made this roof a natural for Western Colloid’s “Fluid Applied Reinforced Roofing” system.